Homeowners insure their homes. Drivers insure their cars. Businesses protect themselves against loss and negligence. Yet, many shippers do not provide themselves with this same sense of security for one of their largest business expenses - transportation costs. 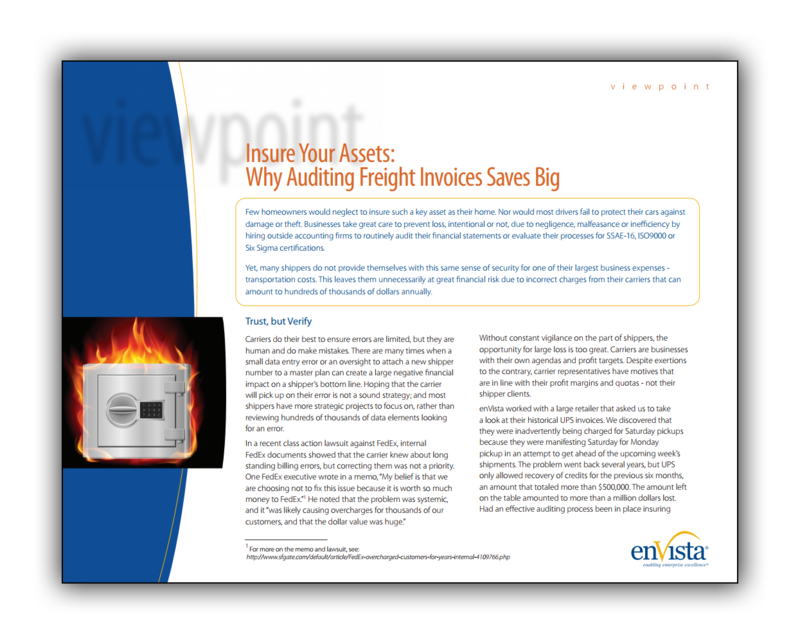 Auditing freight invoices can protect a business from unnecessary losses.